As you remember those days when your Mom used to send you off to school right before she goes to work or how your Dad would always play baseball every chance you get, you realize just how much they cared for you. You begin to appreciate that amidst all those teenage mini-rebellions they still gave you the allowance you needed to pay for your date with your first girlfriend. They put you through school, bought your first car and been there for you through the ups and downs in life. Now, it’s your turn to show just how grateful you are for the life they’ve worked so hard for to give you. The best place for their senior years is no other than your very own home. 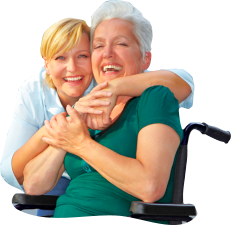 With Cascades Home Health Care, you’ll be able to give your elderly parents or loved ones the care they deserve. Cascades Home Health Care is a home health service institution that provides assistance to individuals as well as families live so they can live comfortably and independently in their homes. Our services give families an alternative to nursing home or assisted living facility admission. We can help you adjust to your current home living and improve comfort without having to drastically change your daily routines and activities. We recognize your need to provide care and comfort for your loved ones. Show your love like a torrential cascade with Cascades Home Health Care. Cascades Home Health Care has a mission to deliver care in the comfort and security of your own home. We keep your family together by administering skilled and non-skilled care right where you live.